MADRID (Sputnik) - The potential departure of the United Kingdom from the European Union without a withdrawal agreement would cost Spain's economy 10 billion euros ($11.3 billion), a study released by the Bank of Spain said on Tuesday. "As a result of Brexit without an agreement Spain's GDP will decrease by 0.5 percent in five years if it is orderly, and by 0.8 percent if it is disorderly", the bank said. According to the report, under such a scenario unemployment in Spain will increase by 0.8 percent, with the number of lost jobs ranging between 125,000 and 150,000. The bank warned that the consequences of Brexit for the Spanish economy would be considerable, but not "excessive". 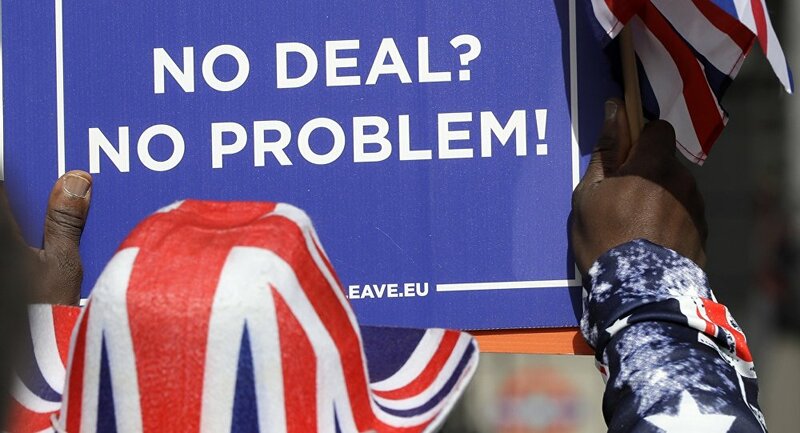 After the House of Commons voted down the updated Brexit deal last week, it also rejected the idea of leaving the bloc without a withdrawal agreement. The UK parliament then supported extending the withdrawal deadline until 30 June if the deal with Brussels was approved by 20 March. The European Union is yet to endorse the Brexit extension.